My team develops the portions of JMP that connect it to the operating system. This can be Windows, Mac, iPad or even cross-platform targets like a Web browser. Importing data into JMP is also included in our responsibilities. In JMP 11, we hope you’ll be impressed with the new ways we have developed to share your discoveries and the enhancements to help you get started with data from sources other than JMP. 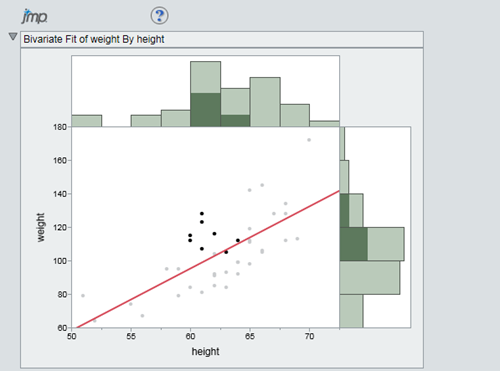 Here’s a quick preview of some of these enhancements coming in JMP 11. Watch for blog posts in the future that will provide details on these features. JMP 11 provides a new way to share interactive output. The interactive HTML publishing feature of JMP allows you to share reports with colleagues who don’t have JMP installed. You can generate a standalone interactive HTML file that provides point selection, brushing and helpful tooltips related to the data. Graphics within the report are often linked to provide additional interactivity. Many of our users have a large body of legacy data in Excel 97 (xls) and Excel 2003 (xlsx) formats. The layout of this data often provides a challenge when importing it into JMP and can lengthen the process of performaning an analysis. The new Excel Import Wizard in JMP 11 for Windows will greatly simplify the import process and reduce the time to get to the exploratory phase with your data. Many JMP 11 beta testers have commented on the usefulness of this feature. Additional sampling capabilities for SAS data have been added to JMP 11. You can now specify a quantity of data to receive (in megabytes) or ask for the first N rows of data. This can be extremely useful when operating on very large data sets that reside on a server. The powerful filtering capabilities of JMP have not been available in the JMP Graph Builder for iPad app -- until now. Import your existing filtered Graph Builder reports or create new filters in the iPad version of Graph Builder. Quickly share your results and allow others to interactively explore the data on their iPads as well. Do you have a variety of reports and data that you wish you could put together into a single window? Both the Windows and Mac versions provide support for this in JMP 11. 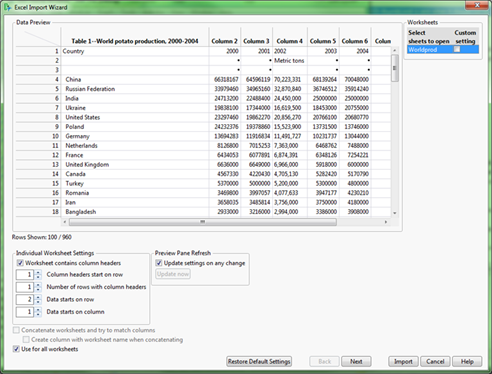 You can select the windows that you want to merge and get a JMP report with all of your output tiled together. It’s common to work with the same files over and over again. If you know that you will always need access to certain files and you don’t want to have to look for them in your Home Window Recent Files list, you can “pin” them on Windows or “Add a Favorite” on the Mac. Note: This post is part of series of previews of JMP 11 by JMP R&D members and technical experts. The JMP Blog will feature a new preview every Tuesday until JMP 11 is released in September. Check out all of the JMP 11 previews.